London — 20 November, 2014 — SEGA and Sports Interactive have today launched Football Manager Handheld 2015, the latest in the best-selling series for iOS and Android phones and tablets which allows fans to ‘live the dream’ of managing their favourite football club. New Match Engine: The all-new 2D Match Engine delivers a more realistic match day experience and allows managers to better analyse their team’s performance on the field. The new Match Engine is only accessible on devices of a certain technical specification, something which Football Manager’s technology detects before the first ball is kicked. Scouting Agency: New to Football Manager Handheld 2015, the Scouting Agency allows managers to look at, and monitor, a ranked list of the top 50 players, both for current ability and future potential. Rankings and Dynamic League Reputation: The new World Rankings, for both international teams and national leagues, evolve over time based on performances in continental competitions. More Detailed Club Stats: The enhanced Club Stats page shows more detailed seasonal and historical information about all aspects of the manager’s chosen club. Manager Achievements Page: Managers can now keep track of all the trophies won and accolades earned throughout their career. 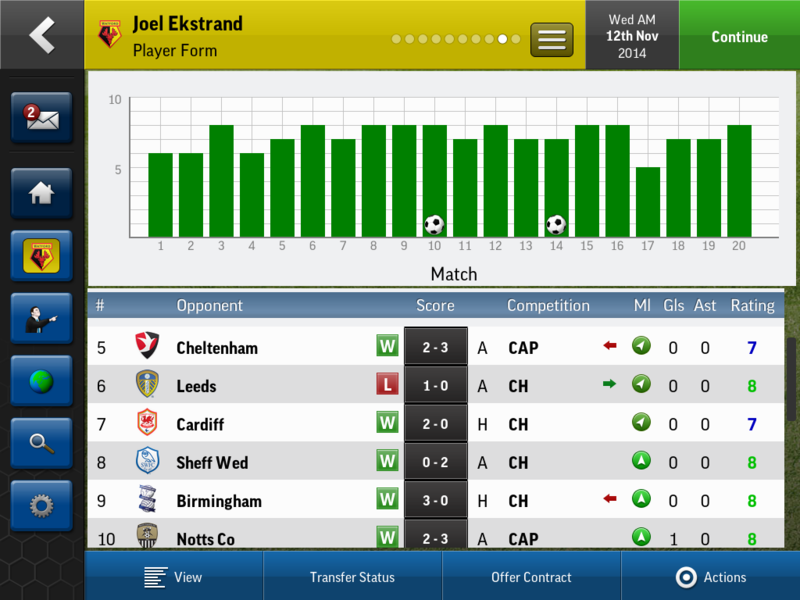 Improved ‘My Club’ Mode: First introduced in Football Manager Handheld 2014, the ‘My Club’ feature allows managers to create a club from scratch and populate the squad with a selection of real or fictional players. For this year’s release, each member of the squad can now be assigned a Player Role and any player from any conventional career can be saved for use in a My Club squad. Improved Look and Feel: The user interface has been significantly enhanced to make managing a club easier than ever. New In-Game Editor: The brand new in-game editor (available as an optional additional purchase) allows managers to change their game data throughout their career, improving finances, player abilities and a whole host of other game-changing attributes. 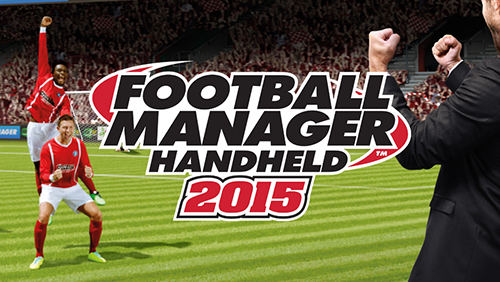 Football Manager Handheld 2015 is available now on iTunes, Google Play and the Amazon Appstore. For more details, go to www.footballmanager.com. A full asset package, including screenshots and details on the game, is available here. A full asset package, including screenshots and details on the game, is available here. For further information, please contact media@sigames.com.